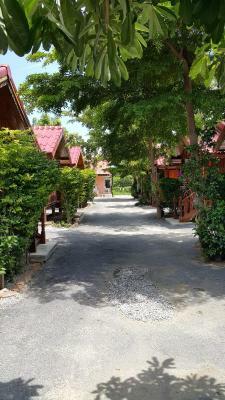 Lock in a great price for Hua Hin Lap Lae Resort – rated 8.3 by recent guests! A most excellent staff. very resourceful. they helped organize getting around etc. Rooms are small, but quite confortable. aircon works great, wifi is good as well. never seen a padlock for a door lock, but hey...? it works. Very nice restaurant across the street. 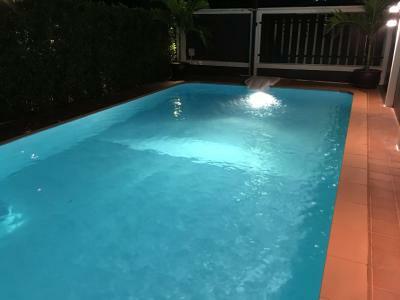 Its relative isolation and lovely swimming pool. 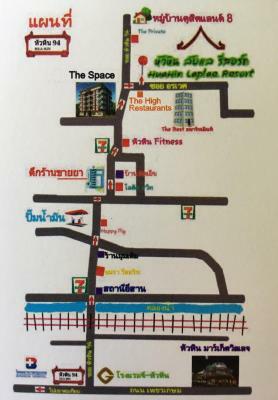 Also, close proximity to 7-Eleven, Tesco-Lotus and good restaurants. Hospitality of the family/hosts. 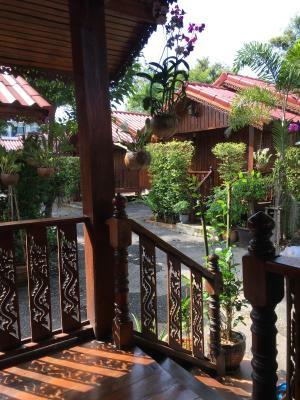 Cleanliness, cabin-style bungalows were well-fitted and had all the requisite toiletries one would find in many hotels with beautiful customised packaging. The lush vegetation created a tranquil ambience. Your car was securely parked next to your cabin. Superb location, absolutely quite and calm. Little away from the center but there is a restaurant across the street. With a scooter its just few minutes to all places in Hua Hin. 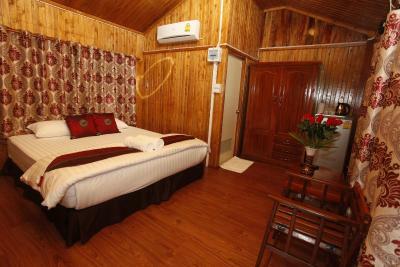 The bungalows are spacious and clean (cleaned everyday). 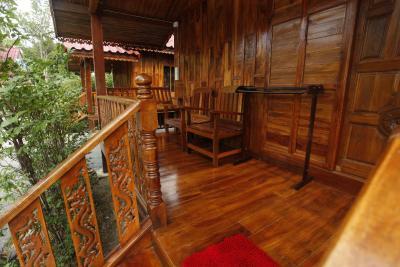 Each bungalow with small veranda with a nice green with. And the most important - the owner is always there with a smile ready to help you in any matters. Low Budget, but value for money was ok. Pool was clean. relatively quiet. Lovely bungalows possibly the nicest we stayed in whilst in Thailand. Staff were very accommodating and always smiling, massive language barrier but nothing Google translate couldn't sort! Lovely and peaceful and a good terrace to chill on of an evening. De ontvangst en de klantvriendelijkheid van de eigenaars. Sehr gepflegte, kleine Anlage im Familienbetrieb. Sehr besorgt um die Gäste. Sehr hilfsbereit. Für 2 - 3 Tage ausreichend. Tolles Restaurant gleich gegenüber. Sehr gutes Preis-Leistngsverhältnis. 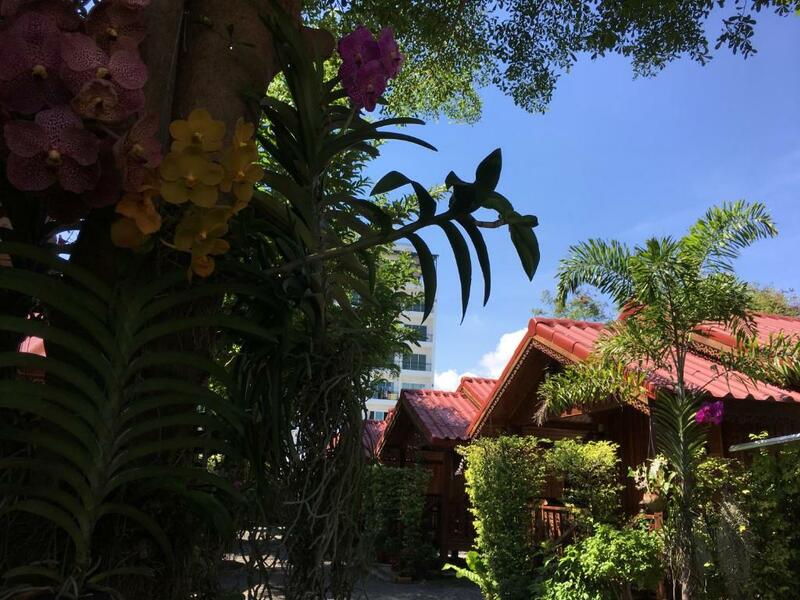 Located 1.9 mi away from Royal Hua Hin Golf Courses, Hua Hin Lap Lae Resort offers cozy bungalows with garden views. Guests have access to free WiFi in all areas and free private parking during their stay. 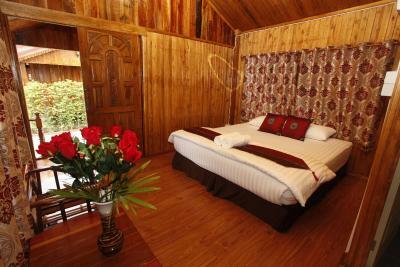 Featuring wooden furnishings, each room comes with air conditioning, a refrigerator and a flat-screen TV. There is also a seating area at the patio overlooking the garden. Fitted with a shower, the private bathroom also includes free toiletries. 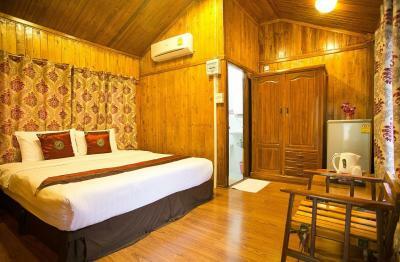 At Hua Hin Lap Lae Resort guests will find a 24-hour front desk, room service and free luggage storage services. 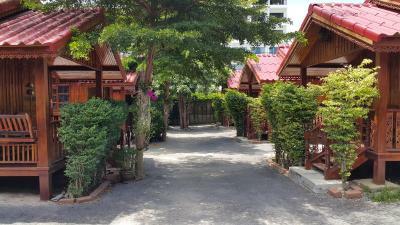 A relaxing massage, car and bicycle rental as well as shuttle services to the nearby attractions can all be arranged for an extra charge. 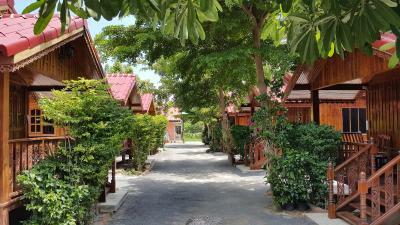 The resort is 1.2 mi from Hua Hin Market Village, 2.8 from Hua Hin Bus Station and 1.9 mi from Hua Hin Night Market. Hua Hin's famous night Cicada Market is just a 15-minute ride away. 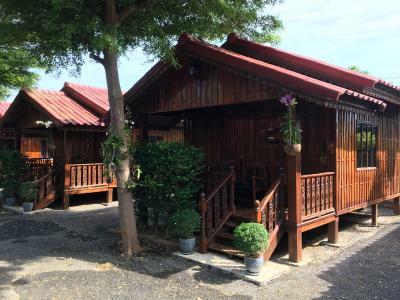 Hua Hin Railway Station is 1.5 mi away from the property. 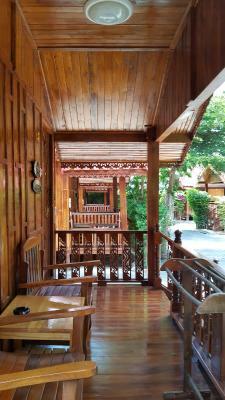 When would you like to stay at Hua Hin Lap Lae Resort? This double room features a flat-screen TV, an electric kettle and an private bathroom with shower facilities. 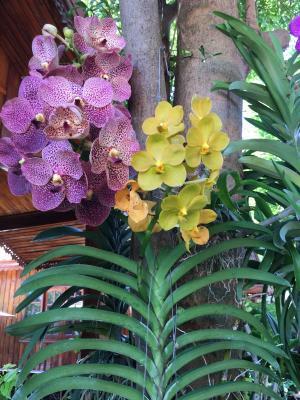 House Rules Hua Hin Lap Lae Resort takes special requests – add in the next step! Please inform Hua Hin Lap Lae Resort of your expected arrival time in advance. You can use the Special Requests box when booking, or contact the property directly using the contact details in your confirmation. It is quite a distance from the beach and shopping centres. So, a car or motorbike is essential. The neighbouring streets were not conducive to walking as there were no pavements and too many motorbikes racing up and down. Except for complimentary water and coffee, which were appreciated, there was no breakfast. Considering the cost of the cabin per night for 2 people, a light breakfast would have been welcome, especially for those who do not eat warm, spicy food, like rice, noodles, chicken or pork for breakfast. Not their fault, but Booking.com fails to indicate that they dont accept credit cards here. I thought I had paid up front, and as I was leaving early in the morning, I was informed that i ha d to pay them in cash. Luckily I had cash on me. This happened once before in Cambodia. Bookin.com needs to fix this. My booking indicated non refundable, which means that if I canceled, they would have been paid by credit card. WiFi usually didn´t work properly. 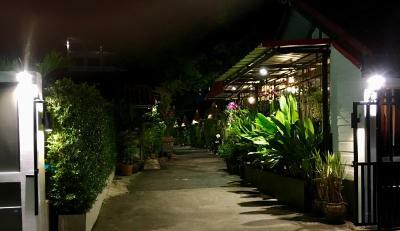 The resort is: 10 traditional Thai-Houses on Tarmac. There wasn't a restaurant on site which was a pain due to the location. It also states that there is moped and car rental facilities of which we saw neither. The pool is very small with no sun loungers, we didn't intend on spending all our time at the pool but would've been nice after a day out exploring Hua Hin. The worst thing about this place is the location, it really is in the middle of no where and if you don't rent a moped then the walk down to the strip of bars and restaurants is horrific. There's street dogs barking at you everywhere and a little building site that's got creepy men who like to eye up all the woman and say hello. This meant getting anywhere at night involved a taxi which the staff booked for us but it would've been nice just to be able to walk it.